We’ve been busy recently whipping up some delicious maple syrup inspired recipes for everyone to try themselves at home. 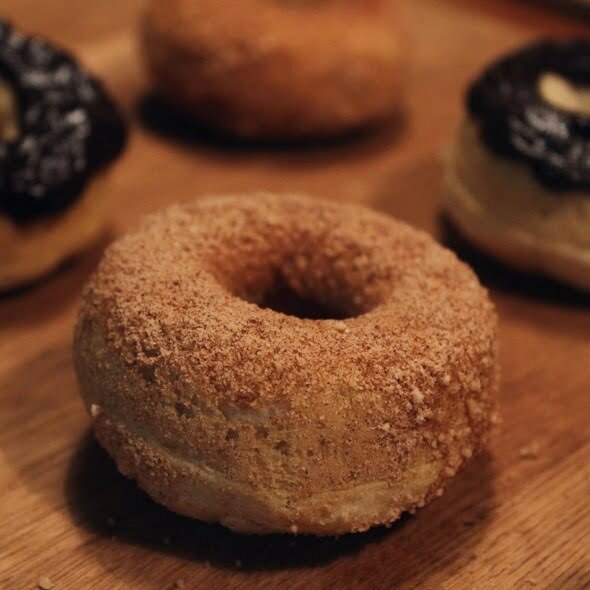 This week, vegan doughnuts – a wonderful treat to make for friends and family over Christmas! Place all the doughnut ingredients together in a bowl and whisk them together until blended. Lightly grease a doughnut pan with oil. Scoop or pipe the doughnut batter into the pan, making sure to fill up two-thirds of the pan. Bake for 15 minutes in an oven heated to 180°C. Whilst the doughnuts are baking, thoroughly mix together the maple sugar and cinnamon. Once baked, leave the doughnuts to cool in the tin for around 10/15 minutes to cool. Lightly spray each doughnut with a little oil and roll it in the maple/cinnamon sugar to create a delicious coating! Be sure to tweet your maple syrup creations to @realmaplesyrup so we can see what tasty treats you’ve been making.